Thanks to social media, I've been able to keep in touch with Yulady Saluti, one of my high school classmates from yesteryear. For years, following her Facebook page, Yulady Saluti Yoga, we have been inspired by her amazing work in both practicing and teaching yoga. Last year Yulady boldly announced that she had been diagnosed with stage 2b breast cancer. With unimaginable strength and courage, Yulady created a series of Youtube video-blogs to document and share her journey through a double mastectomy, chemotherapy and radiation. Her willingness to shed light on this arduous process- to be open, vulnerable and real- has touched the hearts of thousands and has illuminated the incredible power of bravery and solidarity. Reaching out to encourage and support others through their own hardships, Yulady's story, Confessions Of A Cokehead Turned Yogi was released on MindBodyGreen last week. 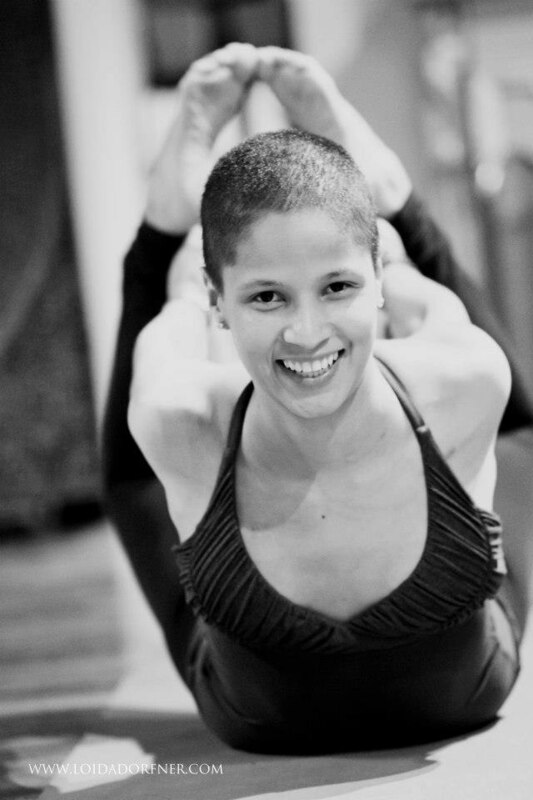 How beautiful to read about the way yoga has helped to guide Yulady through the challenges she has faced. Yulady Saluti is truly a teacher, in every sense of the word. Her story is so critical— reminding women to perform self-breast exams regularly, to always trust their instincts, to allow the space to experience all emotions, whether good or bad, and to move forward in a positive direction every day of our lives. Follow Yulady's journey here at I Love My Life (ILML), shower her with love and support, and marvel at the strength of this remarkable woman. I just ready MindBody Article last week. She truly is inspiring!